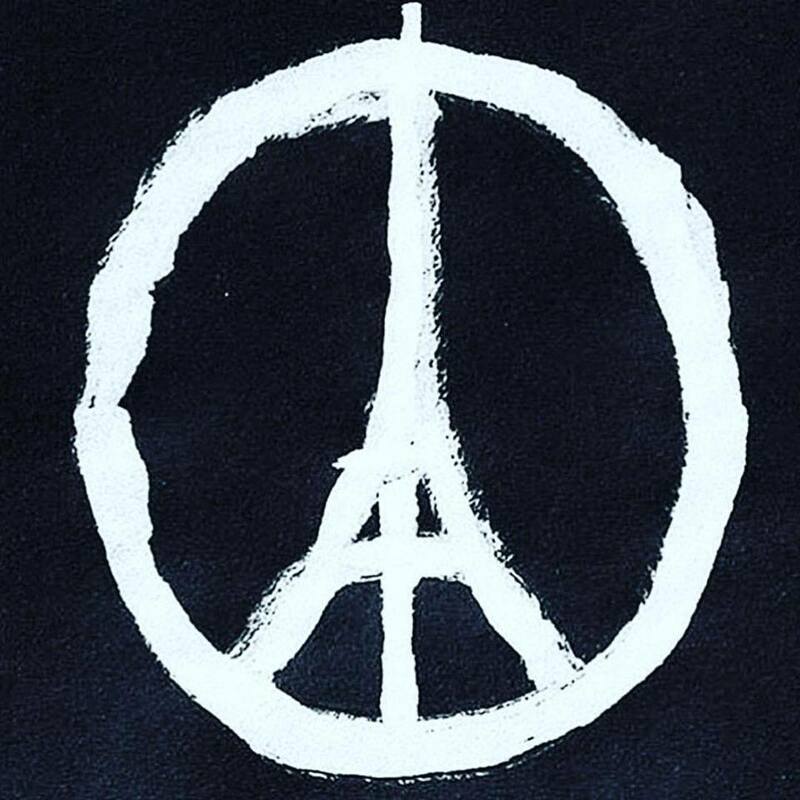 Peace for Paris and beyond…. I sit here with a candle lit this Saturday morning after the Paris tragedy last night, which I’m highly aware lit the flame of awareness not only for me but also for much of the world regarding how widespread terrorism resides throughout the world, not just in sophisticated, developed cities and countries. Today, especially as a mother, being the one who is expected to have some answers today or eventually, I feel paralyzed. So I’m waiting. Listening. Feeling. I find meaning, comfort and wonder through words, through undertones, through feelings, through dreams, through my body, through the often unseen, through the rich layers of the underbelly, through the often unpopular gray way of living. I don’t know when or what to say – yet – about this kind of Darkness to my sensitive little boy who can hear the subtle hum of the train a mile away while his bath water runs and his baby brother squeals. I’m having to get still and figure out how to talk about real guns (or suicide bombers – or not yet! ), to a kid who fears loud toilets and loathes scratchy turtleneck tags. This morning I questioned how much to lightly tap dance and quietly spell out S-u-i-c-i-d-e B-o-m-b-e-r-s when I ask my husband if they’ve been caught. “Who was caught, mama? What did they do?” I distracted him by pulling his favorite blueberry kefir out of the fridge. He knows. And, we know. Our body knows. The elephants – pink, purple, polka dot – sit there and stew until we eventually invite them to our awareness and explore them appropriately. We know because we feel the uncertainty, or we race around numbing ourselves from it. If we numb ourselves from it, it pops up in brief moments in our newsfeed or during uncomfortable Thanksgiving dinner conversations. We pop in another roll or swallow another gulp of wine. If we take time to feel the uncertainty/fear/anger/etc, especially where it shows up in our bodies and our habits, and explore ways to work through tragedy or trauma for ourselves, then we will certainly feel more uncomfortable before we feel better. But, eventually we will be clearer as parents, as caregivers, as vessels of change, to deliver healthy guidance and security to our children even if we still don’t have all the answers. We have to embody our own feelings around it before preaching to others. We have to be the slow and steady peacemakers internally and then with our own children before pressing forward and waiting for another tragedy to hit closer to home to finally stop stuffing ourselves with denial and extra buttery rolls. It’s easy to want to read from scripts, Google the latest advice about how to talk about tragedy to children, take a self righteous stance, sign up for THIS-way-of-parenting. Kind of like the food-and-dieting world – the guarantee of a happy life through the “right” food without first experimenting with how your unique body and life actually feel. But, kids know and sense if we’ve digested the lessons ourselves. They see how we as guides dance, fumble, trip, flow, grieve, thrive, stomp, yell, whisper, spell, and work through it all despite what words come out of our mouths. I don’t believe we have to be or can ever be Perfect, but I do believe we aim to be honest with ourselves and the way we relate to each other before we say we have any answers to our children or to our peers and neighbors. Slow down our pace. Chew on the fat a little longer, savor the wine, write/draw/dance about what shouts in your body. Explore how walking through the dark within ourselves ultimately offers the light we wish to share. Peace be with Paris and beyond.